Just a quick post today, but I think Proenza Schouler's new Tiki Clutch speaks for itself. 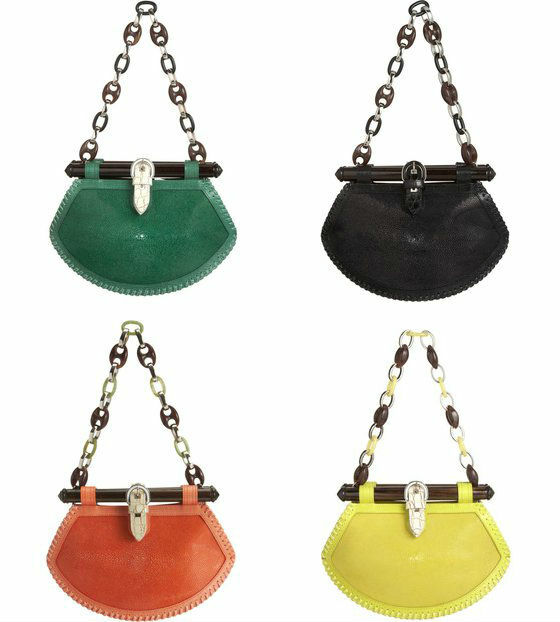 Outfitted with an oversized, removable enamel chain, the clutch comes in sea green, celadon, cantaloupe or black stingray. (There's also a raffia version, but it doesn't compare.) I think the PS1 has some competition! Yes please to a multitude of colours! Love this little gem! Hope all is well wth you treacle, have a great week! I used to have a chain link bag, and I loved it, need to get another, I say. hot damn those are soooooooo cute! LOVE LOVE LOVE.